There we were in our last leg of the trip, heading towards Galle before driving back down to Colombo for a day's rest before catching our flight back home. While down from Unawatuna, our cab driver told us the Galle fort area is a must see. We trusted his judgement and allowed him to show us around. We drove through an archway, the walls resembling that of an old fort. It was indeed a Fort, the Galle Fort. There was a mini city of sorts within these walls, there were buildings, there were court houses, stores [including a Gems& jewellery store- our cabbie told us the prices here will be crazy as they target international tourists], narrow lanes with cute looking houses lined up on either sides and then of course on the other side was the long running Fort wall beyond which lay the beautiful blue ocean. We got off near a staircase, walking up the fort wall and along it taking it all in. From the height, we spotted a temple, a church and a few tall buildings as well. Suddenly, we noticed a small cafe near one of the pretty lanes. We went over to explore the place, discovered it was a quaint bed & breakfast places besides which was a cart selling stuffed paratha of sorts. Decided to indulge and bought one stuffed paratha and it was divine.. Wish we had known about this homestead, we would have planned better and maybe stayed in Galle one night. 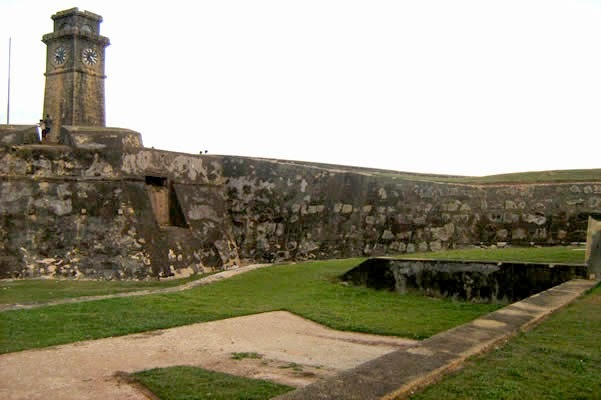 The fort was built first in 1588 by Portuguese, subsequently fortified by the Dutch sometime in the 17th Century. What is amazing is that the place which is nearly 423years old stands tall and majestic even today, courtesy the Archaeological Department of Sri Lanka. 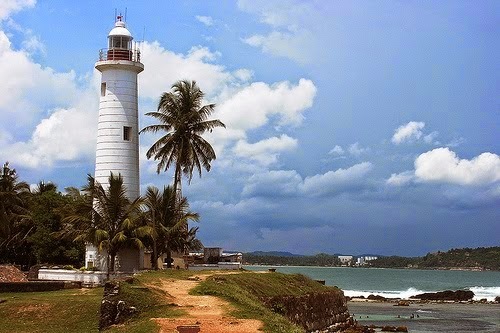 It is also referred to as the Dutch Fort or the "Ramparts of Galle".